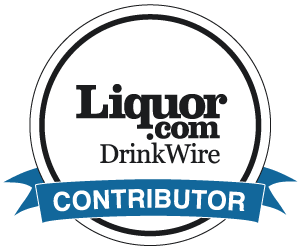 Whisk(e)y Of The Week: The Dalmore's Limited Editi... 0 Votes Up! Plantation's Latest "Extreme Collection" Rums Are... 2 Votes Up! Whisk(e)y Of The Week: A Kentucky Bourbon By Way O... 7 Votes Up! Whisk(e)y Of The Week: An Octomore That's Not (Jus... 5 Votes Up! Whisk(e)y Of The Week: I Should Have Written About... 2 Votes Up! Whisk(e)y Of The Week: A Rye So Nice They Barreled... 8 Votes Up! For 2019, Resolve To Drink More Brandy 3 Votes Up! Whisk(e)y Of The Week: A Canadian Club Worthy Of T... 3 Votes Up! Good Clean Family Fun For The Holidays In NYC (Don... 2 Votes Up! Elder Statesmen Or Old Codgers? A Look At (And A T... 1 Vote Up! 6 New Ultra-Rare Single Malt Whiskies To Blow Your... 3 Votes Up! Whisk(e)y Of The Week: Kilbeggan Takes A Trip In T... 2 Votes Up! Forget The Frozen Daiquiris: 7 Aged Rums To Sip An... 6 Votes Up! Whisk(e)y Of The Week: A Revival Of GlenDronach's... 2 Votes Up! My Whisk(e)y Of The Week: A Dangerous Precedent, A... 2 Votes Up! Both Directions At Once: Mount Gay & Glenfiddich C... 3 Votes Up! All The Leaves Are Brown... And So Is The Booze: 1... 2 Votes Up! My Whisk(e)y Of The Week: The Cladach's Art Of The... 0 Votes Up! My Whisk(e)y Of The Week: Memories Of My Mom's Clo... 1 Vote Up! My Whisk(e)y Of The Week: Laphroaig's Newest Limit... 2 Votes Up! My Whisk(e)y Of The Week: Jack Daniel's Bonds (As... 3 Votes Up! My Whisk(e)y Of The Week: Memories Of My Mom's Clo... 0 Votes Up! My Whisk(e)ys Of The Week: Eddie Russell's Dynamic... 2 Votes Up! My Whisk(e)y Of The Week: A New Blend From One Of... 6 Votes Up! My Whisk(e)y Of The Week: Is The Macallan's New Ex... 1 Vote Up! My Whisk(e)y Of The Week: Ardbeg Gets Its Groove O... 2 Votes Up! Your Father Helped Bring You Into The World. This... 1 Vote Up! Rum Has An Image Problem. Bacardi's Trying To Fix... 1 Vote Up! When Life Hands You Wagyu Beef, Make Wagyu Beef Fa... 7 Votes Up!